Three stars because of what KC wants to do with this movie. Superficial, low production value and barely a movie. This movie created more atheists out of Christians than anyone could ever have imagined. Awesome movie!! Definitely a new Christmas favorite!!! This movie is a visual equivalent to an abortion. Oh boy! I mean, I get the intention of the movie, but woah! This movie makes every other movie look great! Amazing story with details and insight to God, Jesus and the beauty of Christmas! Must watch! Great for the times we are living in where we want to see evil in all things and lose sight of Christ. Not a movie for haters. If you are concerned about the commercialism of Christmas,t\ then this is a great movie to relax and watch. I think reviewers were extra hard on this because of it being firmly based in faith. Those that canâ(TM)t handle that will hate this. There will always be those that are willing to put their faith in unbelief, and therefore will hate the strong position Christianity takes. I love the messages in the film. Are they based around the corniness of bits and pieces of the film... sure...but so what. It is a fun and harmless (inexpensive) Christmas movie. I give a lot of credit to Kirk Cameron for the stance he has taken based on faith. It is not an easy path. This film is a characture of the different anxieties around Christmas. Have we lost the true meaning? Has money exclipsed what we should truly be focusing on. Is it all wrong and the meanings behind the whole celebration all wrong? Rest at ease... this is the first movie Iâ(TM)ve see like this thatâ(TM)s real premise is to speak to those who donâ(TM)t just celebrate Christmas... but believe in its true meaning. It is to be both entertaining and information even. It think this film accomplishes it ull goal completely. Donâ(TM)t let naysayers ruin what was a valiant effort, to address the concerns many have had over the years. Nice job. This was a fun uplifting way to share the reason for the season. I would highly recommend this movie for all viewers to enjoy, consider, and reflect. Thanks Kirk for another great movie that didnï¿ 1/2(TM)t leave me feeling like it melted my brain. Love Kirk Cameron movies. The movie explains the true reason of celebrating Christmas. Jesus is the reason for the season! Merry Christmas. amazing accomplishment to get a 0% on a christmas movie. deck the halls got a 6% and that's one of the worst movies i've ever seen in my life. what kirk does here is amazing, comes up with amazingly incorrect interpretations of the symbols of christmas. i'll give him an a+ for effort and imagination. Kirk Cameron is a sad, mentally ill nutcase who also makes movies that are so bad they actually make cancer look good. Almost time for St. Nick. Although one like none before it. And the film was complete sh*t! the only part that even began to amuse me was when two characters that were totally irrelevant to the plot started whispering conspiracy stuff to each other at a party. Kirk Cameron is evil. The poster of this film is misleading and garish. The philosophy in this film is circular and deeply flawed. The characters are nauseating, and follow not the word of God but the word of Satan. This man's face makes me want to retch. If Jesus were resurrected today and saw what his religion has become, I think he would either have the end times then and there, or quit spreading Christianity and make sandwiches for a living or something. I am sure, however, that if Hell is real, Kirk Cameron is going there. Christianity is not evil. Propaganda is evil, and this film is a prime example of the poor quality and counterintuitive morals of all Christian propaganda. Zero stars. I wish there was a such thing as negative stars. The best way to honor this piece of tripe, I think, would be to place a copy of it under the donkey's behind, in the manger, while Jesus is being born. The only true way to honor this film is to give it a thorough coating of donkey feces. 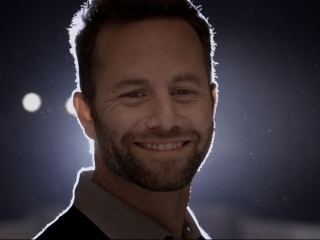 Kirk Cameron is a man going into the deep recesses of insanity. His views of the world and of simple logic are distorted. Soon, he will be carted off to the loony bin, tortured and haunted by his pathetic delusions. I have not seen this film. Why should I? It can be explained in roughly five seconds. There is no matter of opinion when it comes to this garbage. This movie is only bad, and anybody who says it is good is wrong. Don't watch this movie at any costs. There are better movies to watch. This is not one of those better movies.